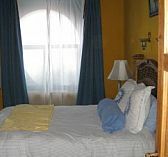 This is a small, comfortable, fully equipped and fully furnished apartment. You will need only to carry on with your suit cases. 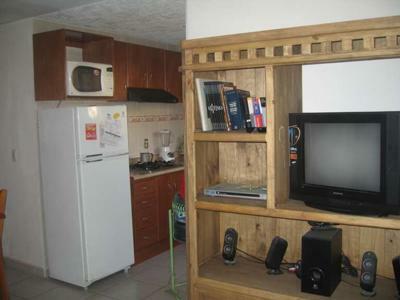 Refrigerator, Microwave, Dishes, Gas oven. Services (included in price): Wireless internet, Cable TV, Telephone, Hot Water. This is really cool and I am sure that there won’t be any other apartment in the area that would offer the same. I would love to know about the price range that is being expected for this apartment. Please send exact location, utilities included, suggested rent, method of payment, your number, and earliest viewing time for check-in ASAP and check-out Mar 28 2012. My e-mail is antwkf(at)gmail. How much is the apt. per month in pesos? Would you have anything available starting beginning of July? Do you accept cats? Hola. Que tal? Me interesa saber la ubicación de este departamento bien como el precio. Tengo intención de quedarme por 5 meses, empezando en la primera semana de Febrero. Por favro, contestame al flavia.brener@gmail.com. Muchas gracias. Saludos. Flavia. How much is your apartment to rent? I need a rental for the Month of January 2011. I need a rental for the Month of February 2011.